1st Frog shot with Underwater casing and NEX-3. During the winter i bought a MEIKON underwater casing for my NEX-3 and 18-55 kit lens. My goal was to made different photos than the usual view of frogs. I wasn’t sure if i would be able to view the LCD of my NEX-3 clear enough to be able to compose correctly$. Finally after that 1st try i’m really pleased with the set-up! 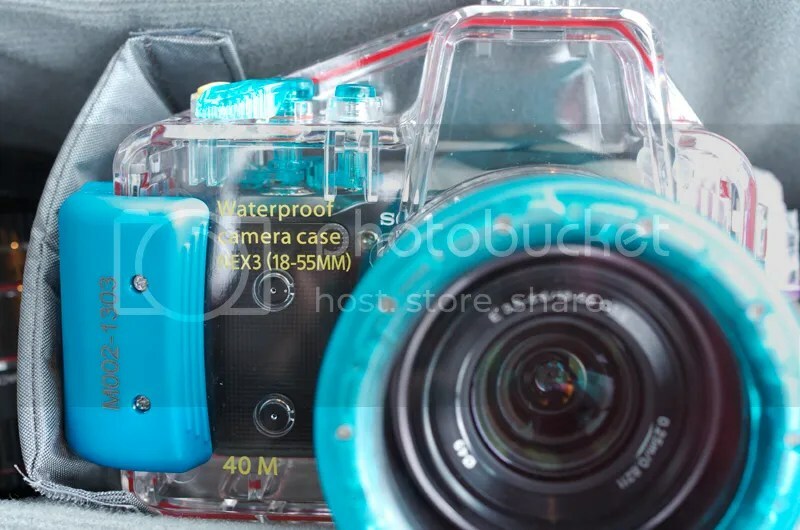 Here is my NEX-3 in the underwater casing. The controls are relatively easy to operate, didn’t had any real problem using all the controls on my NEX-3. You can only use AF since you don’t have access to the focusing ring. 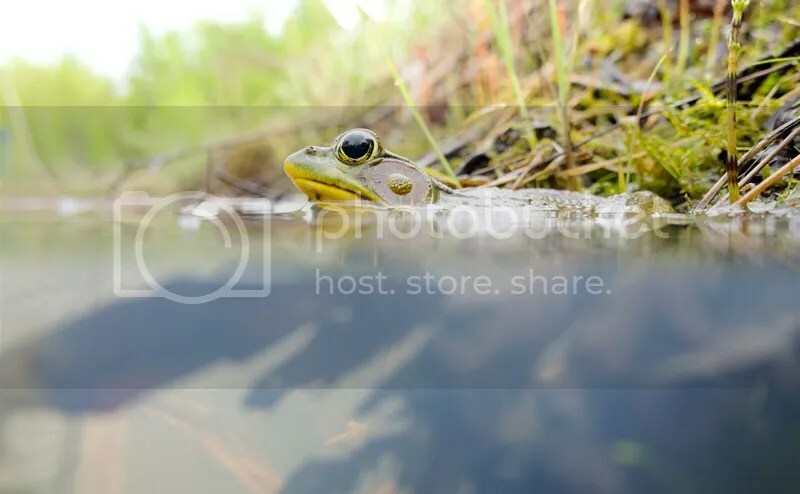 Now i need to practice to get better at composition with part of the frog underwater, there is a lot of branches underwater that prevents from a clear view of the frog’s body parts that are underwater. The 18-55mm kit lens was set at 19mm and it can focus down to 0.25 Meter, not close enough. Tomorrow i will try my Sigma 19mm which can focus down to 0.20 Meter, i will loose OSS but i will gain sharpness and i can go to f/2.8 is necessary. Well here is my first shot. I cropped the right side and some of the bottom part of this shot, the 18-55 don’t focus close enough and i can only set it from about 18mm up to 19mm within the casing. Stay tuned, i will try again tomorrow morning, practice will make me better at this! This entry was posted on May 9, 2013 by Steeve Marcoux. It was filed under Equipment and was tagged with nature, outdoors.